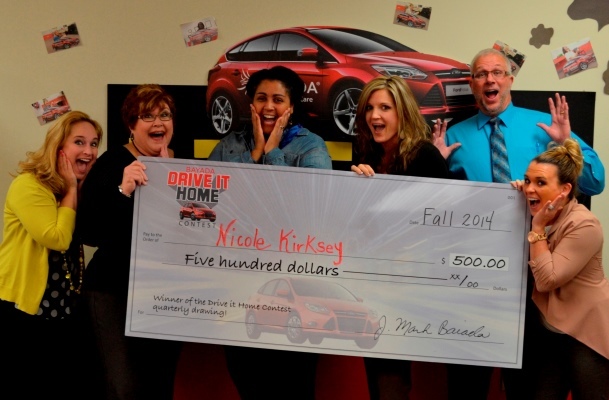 The BAYADA Pediatrics Asheville staff with Drive it Home Contest winner and colleague Rachel Chu, RN. Pictured (from l to r) Client Services Manager Daniel Steelman, Client Services Manager Sue Randall, Rachel, and Client Services Manager Tinesha Burr. 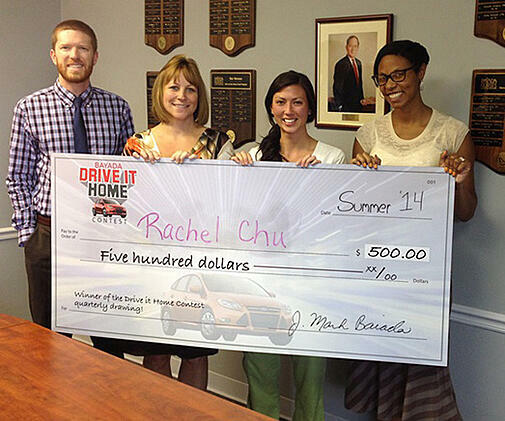 BAYADA Pediatrics Nurse Rachel Chu was recently named the second of four quarterly $500 winners in the BAYADA Drive it Home Contest, a yearlong referral-based campaign to recruit high-quality nurses throughout Georgia, North Carolina, and South Carolina.